Yesterday I was in London. A small amount of snow brought the city into a state of chaos. It makes me laugh. It was hardly anything. Last year I was in Helsinki. Minus 26 degrees of Celsius. 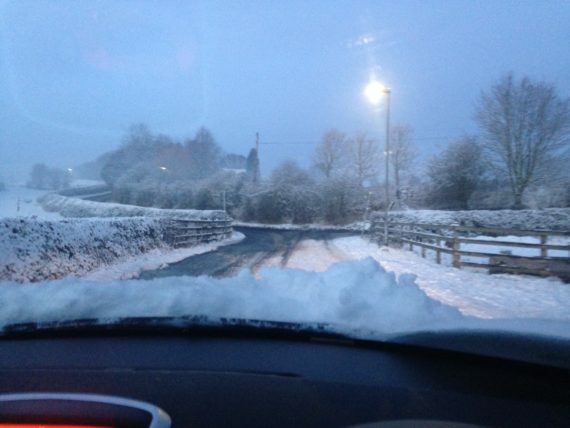 Everything was still running to time as the snow fell and millimetres turned to centimetres. Stepping out of the triple glazed and double front doored apartment the first breath burnt your throat as my steps crunched on the crisp fresh snow. One of my favourite sounds ever. The frost has stuck around all day at home and the thin veil of snow hasn’t shifted. I throw another log into the stove. I love the preparation for winter – getting the logs in, drying them, putting away the chainsaw and bringing out the axe. It marks time for me. I like the seasons and yes, winter is my favourite. Or rather the cold ones. I hate the damp, dreich ones, the warm wet ones, the mediocre ones. Then, that is becoming the norm. we don’t really have proper seasons any more. I remember the endless summers stretching out, the cold winters, the amazing colours of autumn, blackberry week, strawberries in summer, apple blossom. But we can get anything we want from anywhere at anytime of year. Food Miles. Transport. Planes and Trains and Boats. Diesel, aerofuels, particulates, ozone, NOX, glacial melt, polar melting, sea level rise, climate change, fires, floods, droughts, post traumatic stress disorder, anxiety, stress – HIKKOMORI. No wonder we feel so unwell when the world around us so intoxicated. Which neatly segues into my current area of work. The research into Climate Change and Mental Health and making artwork to explore and address this. We are in a dual crisis of both. The Blue Planet on BBC has given a mass audience to the former whist the latter still struggles to make the news despite the failure of child mental health services, one suicide every 90 seconds – think how many that is by the time you’ve read this and clicked another page. To my mind there is a link between one and other – regardless of social policy. Similarly my work seems to be becoming more and more interlinked as one season turns to another and back around again. 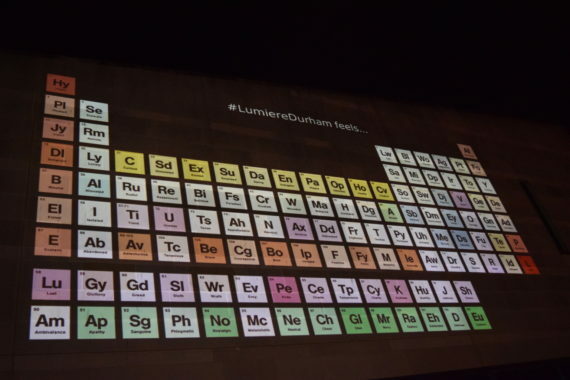 In November I took part in Lumiere Durham. 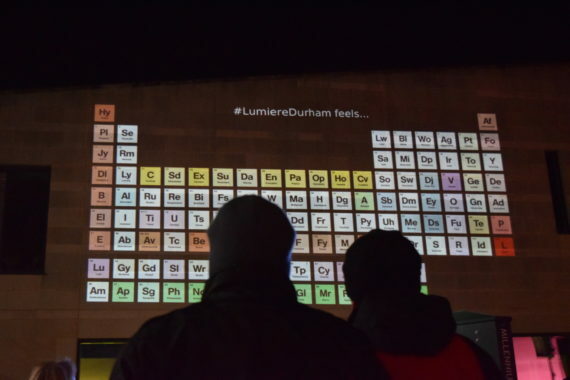 I showed Sagacity: The Periodic Table of Emotions . The work had only ever been shown on a small scale. I had no experience of making work for a massive festival with 250,000 visitors. In fact I had no experience of light festivals or illuminations. This reminds me of the having no experience of greenfield festivals in the summer. But I do have experience of not having experience and solving that. This is the amazing thing about having had the opportunity of working in Pervasive Media Studio. I have learnt loads of stuff about loads of stuff as well as stuff around the stuff I don’t know anything about. 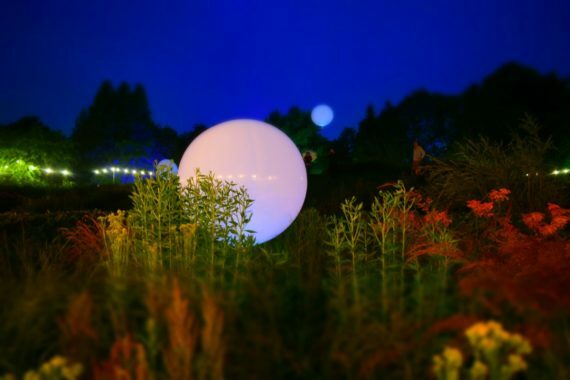 Last week I went to Enchanted Parks – a light festival in Saltwell Park Gateshead – I could take a good guess at the tech and ‘how it was done’. This was a revelation to me – and to be able to go around with an informed critical eye. So Lumiere. I needed to make sure that an interactive piece stayed interactive and cope with the levels of expected interaction and not fail. I have learnt that keeping potential points of failure to a minimum is good. Keeping things simple is good. String is good. The amazing thing about Pervasive Media Studio is the people, the knowledge, the sharing, and loads of other things. I found someone to work with who knew what to do. Tarim helped and guided me, made suggestions and executed a fantastic job. Obviously its more complex than that. What I am getting at here is that by being present I got to do another commission which I never would have had the confidence or ability to execute without being at Watershed. All this feeds into doing more things. Now I may not know what to do but I know if I can come up with an idea I can get it done. I know more about what is and isn’t possible. I understand a digital language better. I understand some other art forms better. So the year is coming to an end. And a new one begins. This part of my development may be coming to an end but it isn’t over. I already have plans to continue working at PMS and proposals to keep me going back. I am determined come what may I will get that or some funding to make it happen. The weather is a great leveller. It doesn’t care how rich you are, your class, race, creed, gender or what ever people identify themselves as and by. True enough, a lot of people don’t really notice the weather or aren’t as affected by it as perhaps we all once were. Fisherman, farmers, gardeners, lighthouse keepers, post people, may still cast an eye to the forecast but largely we may not be fully aware of it on a daily level. Maybe we notice its dark and 4-30pm and raining so its winter and the bus is late or we hear of extreme weather events in the news. Somehow those extreme weather events seem to be getting more frequent. When I lived in New Zealand a southerly wind would pick up in Christchurch and blow for days on end. An unrelenting warm southerly. As the days passed the number of car crashes would go up, hospital admissions would go up, headaches, road rage and domestic violence would all spike. As the southerly weakened these indicators would all return to normative levels and everyone would get on with their daily business and everyone would find their own way of saying ‘thank god the westerlies are back’. I believe we are at the crux of the climate change and mental health crisis. This forms the majority of my work as an artist currently – researching and making responsive work, or work to initiate or catalyse conversations around these subjects. When the floods of a few winters back receded peoples thoughts turned to drying out their houses and replacing essential furniture and whiteware. But what about the psychological reparations.? Very often it is the practical over the emotional which is given priority. What about the fear of it happening again? What about the stress, anxiety and PTSD? Being at Pervasive Media Studio is allowing me the time to research the emotional aspects of weather whilst exploring the digital and attempting to create a new body of work. But, it’s never that simple. We outline things for application forms, we attempt to construct a narrative which is compelling and hopefully use enough buzz words whilst conveying enough authenticity and enthusiasm to secure the funding. Yet I make my work in the present and I respond to what’s happening in my life and around me, things are fluid, in a state of flux and, well I’m curious. So when I see an interesting alleyway or less trodden path which seems interesting I might just take it, Sometimes straying from the path is where the real adventures are found. I digress. Since being at PMS I have completed Between Stillness and Storm – rather I have created and toured a work which bears little relationship to the original proposal but is heavily influenced by work at the studio. It is finished in this iteration but not overall. I am evaluating it and will develop it further. 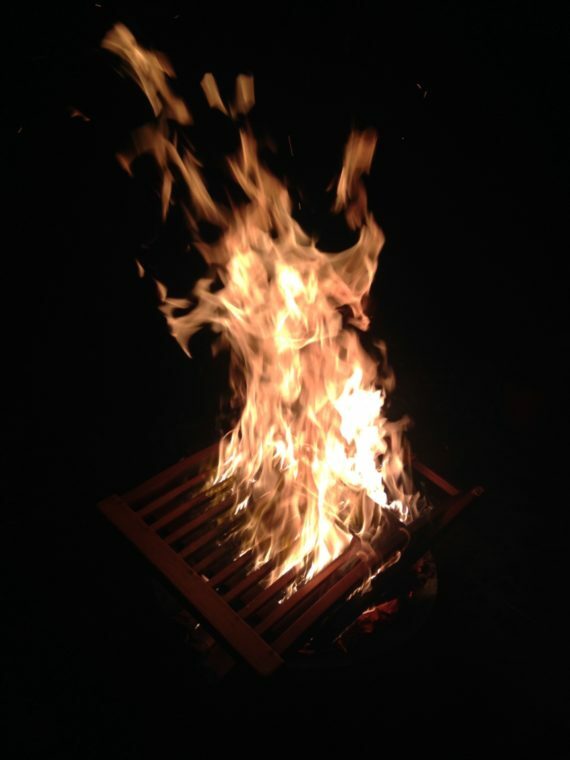 I am also redeveloping an old piece – sagacity – a piece which was created, successful in its release and has been waiting for life to be breathed into it. An increased understanding of digital – from having been in and around the studio – has informed my direction. I am more confident at straying from the path. 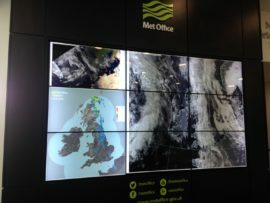 So the MET OFFICE. WOW!! I thought I had a good understanding of the weather and its impact and reach. What did I know? I got a brief glimpse into something that seemed like a set from a sci-fi movie – or Cli-Fi – the weather related genre of films/books etc. Screens a-go-go. Satellite imagery, pictures of the sun in a whole load of different frequencies, all in a totally rarefied atmosphere. So who wants to know about the weather? Loads of people. Business, organisations, transport, councils, governments. 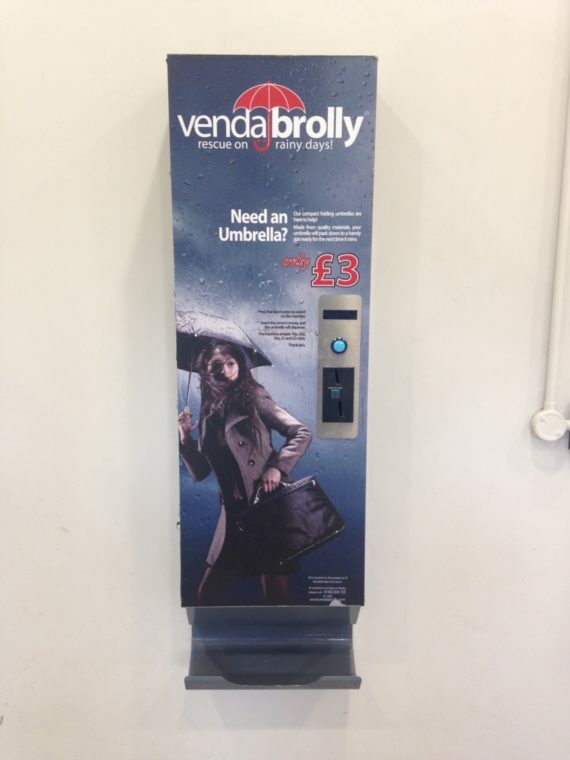 It’s not just about shall the shops get the brolly and jumpers in but apparently in hot weather wet dog food sales declines because people want dry dog food so as not to attract flies. My favourite was forensic weather. 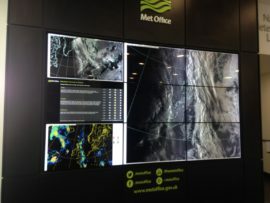 At the entrance to the Met Office there are screens – most informatics stuff bores me but this was quite captivating. Fitting enough I spotted this at Exeter Central Station. Whilst I was there I took the time to join the Meteorological Library. The library is amazing – as you’d expect. It’s full of books yes, but papers and journals and artefacts from the history of weather. A lifetime of research awaits. I didn’t even get to the Archive. This thrill will have to wait. Before I knew it it was time to head back north to Bristol and PMS. How many times have we heard “Pop by, it would be lovely to see you”? Probably almost as many as the “How are you?’ which is often said and frequently not meant as the greeter moves on to the next sentence without drawing breath or indeed waiting for the pat answer of “Fine, Yeah” or some such similar trite exchange. As far as I’m concerned if you don’t want to know or not going to wait for the answer then don’t ask. Or if you do ask then be prepared for me to stop you mid next sentence and begin to tell – honestly – regardless of how good I’m feeling or how sleep deprived I am due to the night terrors I’ve been having recently. Good hosting starts with a firm invitation. ‘Come over at 4, we’ll have coffee and cake’. I love the weather. No doubt about it. Even more than I love Lighthouses and Keanu Reeves. Imagine how excited I was when during one of my ‘under the bonnet’ sessions it was loosely dropped into the conversation that arrangements had been made for me to visit Kaleider who can introduce me to ‘someone in the met office’ and go there for a visit. But then I was told I’d have to wait 3 months or so for the relevant checks and arrangements to be made. 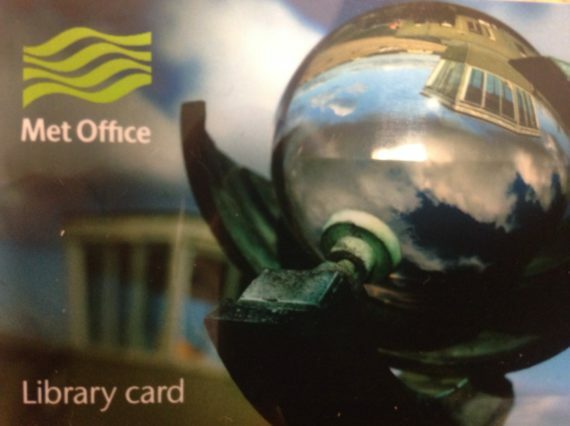 You can’t just turn up at the met office and go in and wander round. It’s a government establishment. It’s top secret. I’m not even sure I should be telling you this. In the intervening weeks there were introductory e-mails which progressed to introductory phone calls, tentative arrangements were firmed up. In one of those coincidences I was at Bluedot Festival with my new installation Between Stillness and Storm – an installation which turned out far different from the one I proposed due to my time at PMS – where next door to the site was the MET OFFICE doing out reach – Bluedot is a SCI-ART-Music Festival. In this meeting there was a reiteration of the invite. Hosting is really important in my humble opinion and it starts before you enter the building. I turned up at Kaleider as arranged and Jocelyn came out her meeting and welcomed me. She took me into the meeting and introduced me to Katie, Peter and Seth – the directors – I get a bit overwhelmed with new places and new people and all that social codification. We went upstairs to the communal space, a brief tour, another couple of introductions, a cup of tea. Why am I writing about this? Well this is incredibly important and so many organisations get it wrong, or rather don’t get it right. They assume too much, they are comfortable, or complacent, they forget what it’s like to be in that position. It’s not rocket science, it doesn’t cost anything, it just simple human interaction which makes a massive difference about how you feel. 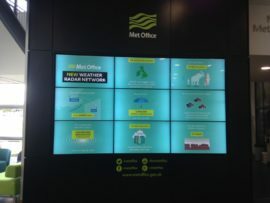 It was a brief visit as I had a pre-arranged trip to the Met Office. Passport in hand off I went. Again, brilliant hosting. Met at the door, offered a drink, sat down, introduced each other and then off for the tour. 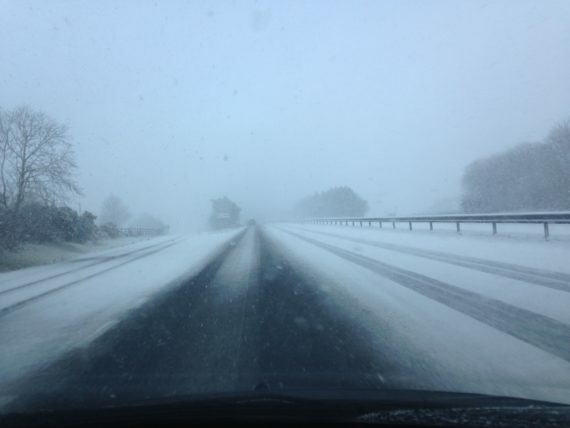 More about the Met Office later. Next day back at Kaleider I felt comfortable in the space because the hosting had been so good – and it continued to be so. Perhaps some of my positive experience was due to the pre-introduction or the brokering done between PMS and Kaleider – but that just shows how successful joined up thinking is. Most, if not all, of my access needs are around the psychological rather than the physical. I really valued Kaleiders approach of wanting to be aware but not intrusive with regards to this. This was particularly so on the Wednesday when I walked into the communal workspace to a sea of faces. Jocelyn read the situation, could see my overwhelmedness and stepped in – but simultaneously checked in with me to see what I needed to manage the situation – so as not to take over. Deft. 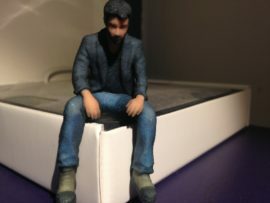 Later that day I had a great conversation with Seth Honnor -Artistic Director – about first impressions, hosting and accessibility amongst other things. Accessibility and Inclusion isn’t a one size fits all -everyone is different with their own specific needs and are on a continuum. What’s this got to do with Professional Development? Well for me, without this I couldn’t engage with professional development – I wouldn’t be able to take advantage of the bursary – the conditions to thrive would be absent. There are so many invisible barriers to negotiate even before I get to make work as an artist. 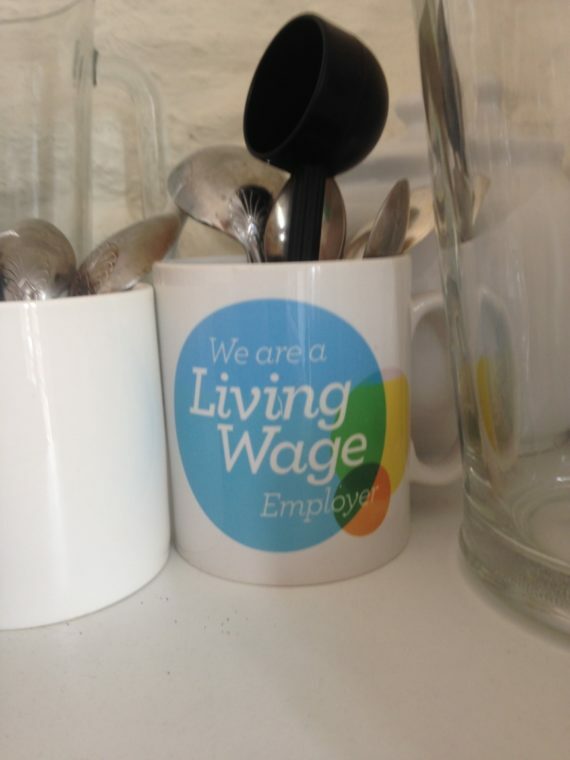 So when organisations provide the conditions for me to thrive, to be able to make work, I really appreciate it. As an aside I was really pleased to see this in the kitchen. I realise how fortunate I am to be resident at PMS and who have relationships with organisations such as Kaleider which make it so enjoyable, so relatively easy to get on and be an artist without struggling against bureaucracy or ignorance or lack of flex which result in exhaustion and inability to create. It seems ages ago I received notification of being awarded an a-n Professional Development Bursary. Back in March life seemed so different. I was going through the “Famine of Freelance” – you know – that thing no one really talks about because we have to put some kind of sheen on it all and say -‘yeah….I’m really busy……fingers in pies…..” rather than ‘ Oh Yeah!… I’ve had a few rejections….it’s really hard out there….it’s the trickle down…they had 375 applications….” I’m sick of the sheen and the bluffing. I’m grateful for the bursary. Sometimes it is the money – or the money helps..we all have to eat and pay bills…but this bursary has allowed me to do things I wouldn’t have ordinarily got to do and the real bonus is it’s not just about the finite timescale of the bursary that I will experience the benefit. Later that year I was accepted onto the Unfixed Residency in Adelaide with the Australian Network for Arts and Technology, Unlimited and Watershed Pervasive Media Studio. I am not a digital native. I am however thanks to that residency a digital adopter or (Im)migrant. 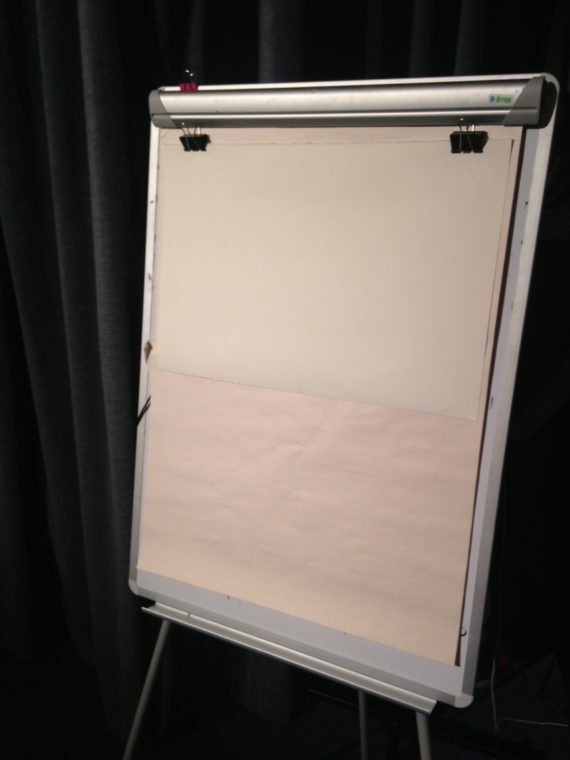 The residency took 5 disabled Australian artists and 5 UK disabled artists to Adelaide, London and PMS at Watershed. It was the latter which really changed my life. 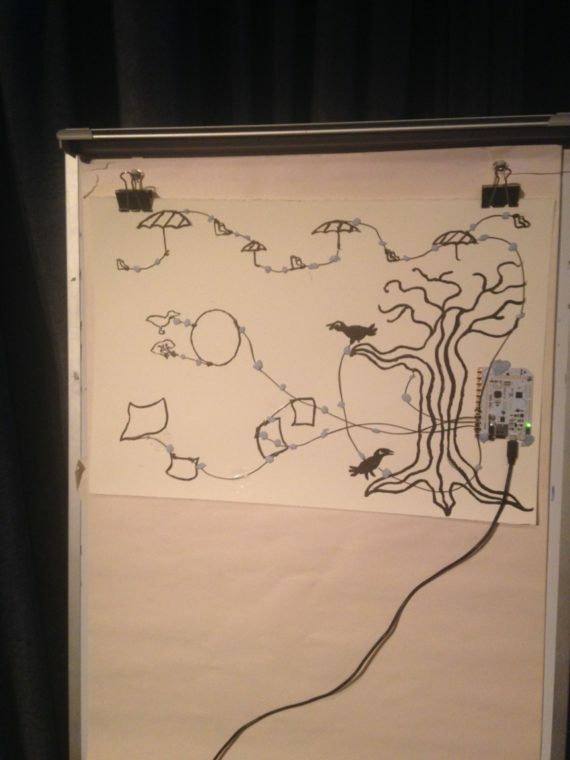 It was as if a door had been opened, that suddenly i gained an understanding of some of the language and some of the potential of digital technology – not as a means to itself – not as the art work but as a way to support the work I made. The above image is of a collaborative rapid prototype produced during an Unfixed Lab at PMS exploring codification of the gallery. What was crucial here was that Watershed PMS had a brilliant attitude to disability. They were open to conversations about it, how can they do it better, they know they don’t know everything but are prepared to get it wrong as a beginning to getting right. PMS don’t do buzz word bingo, don’t tick boxes for the sake of it. I am treated as an individual, the conversations with me are about my access needs specifically and they go out their way to ensure I have the best conditions reasonably achievable to make my experience of being a resident the best it can be. As a resident of PMS this bursary is helping me visit the studio and research digital technology so I can apply it to my practice, so that it enriches my practice and makes a contribution to my work. For me, the technology will never be the work. 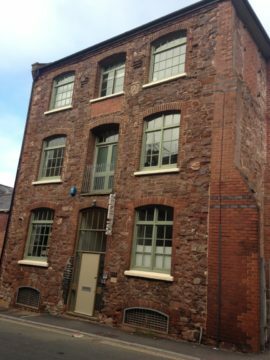 So now I have just returned from visiting Kaleider in Exeter – another tech art hub in the PMS vein. 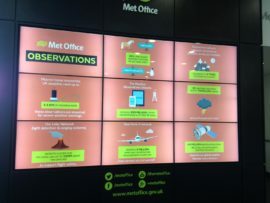 PMS talked to Kaleider and brokered my visit there who in turn brokered my visit to the METOFFICE which is not only the fulfilment of a very long standing dream to be able to visit there but contributes to my work on Climate Change and Mental Health. So, whilst money has its place and importance, often it is the softer, human side of things that allows doors to be opened and relationships to be built.